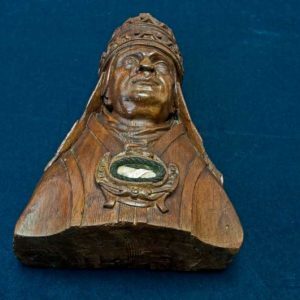 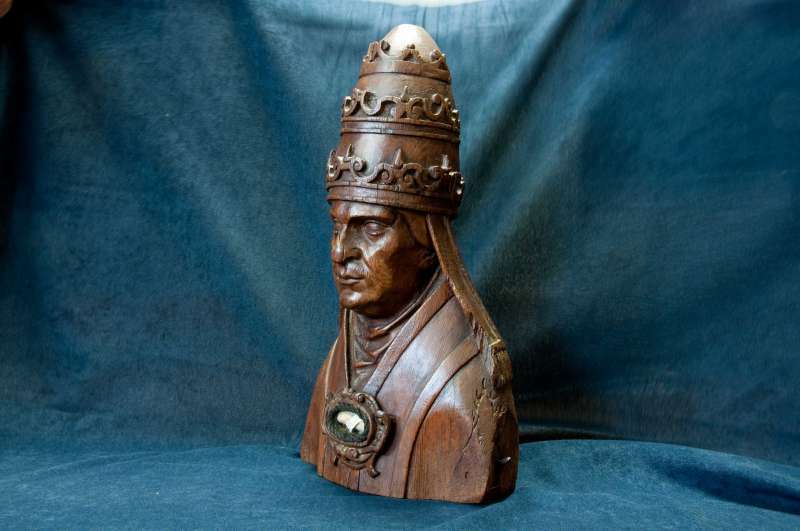 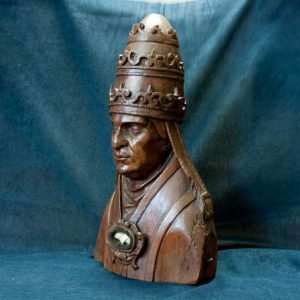 This hand-carved wooden reliquary from the 1600’s contains a substantial relic of St. Deusdedit who reigned from 615-618. 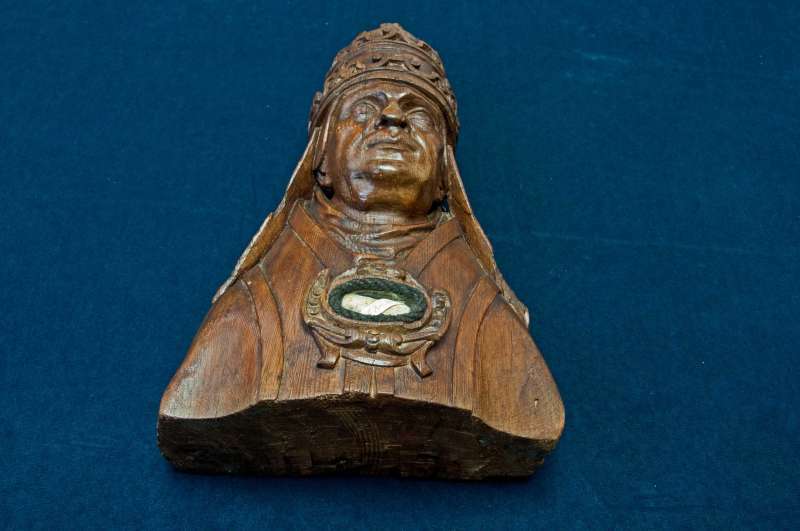 The relic itself is one of the oldest items in the Collection superseded only by the relic of the true cross owned by Pope Clement XI who reigned from 1700 – 1721. 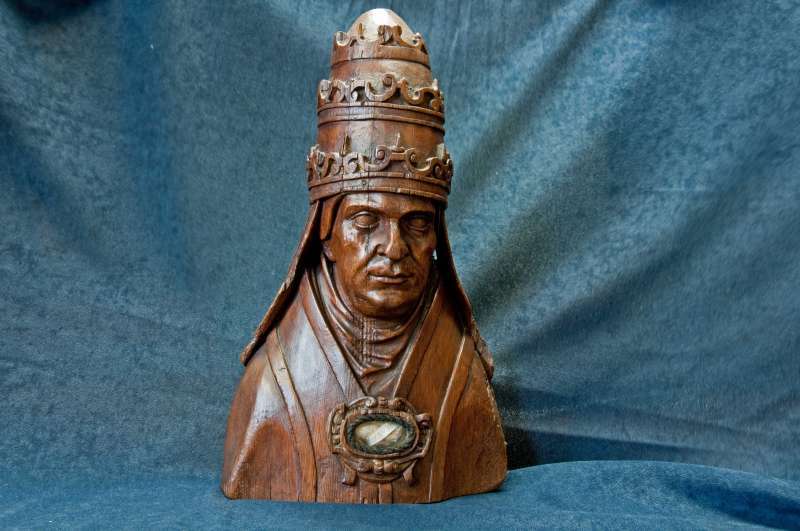 (Clement XI: A Relic of the True Cross of Christ).